Avengers, assemble! 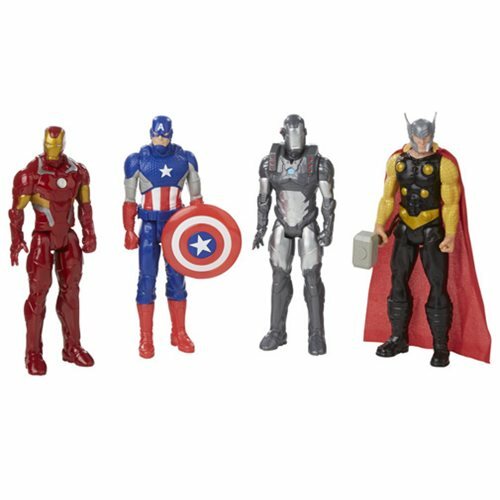 Avengers Titan Hero 12-Inch Action Figures Wave 1 Case contains big heroes straight from the comics featuring your favorite Marvel characters! Figures each measure approximately 12-inches tall. Ages 4 and up. Avengers S.H.I.E.L.D. Hydra Heat-Change Mug - Previews Exc.